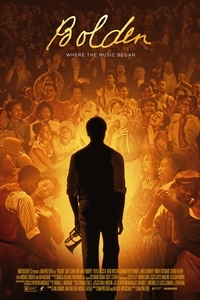 Inspired by the life of Buddy Bolden, the film reimagines the compelling, powerful and tragic life of an unknown American hero and the social context in which his revolutionary music was conceived. The birth of jazz was the birth of American popular culture from Louis Armstrong to Jimi Hendrix, The Rolling Stones, The Fugees and Dr. Dre and Bolden is where it all began. Weaving together distant memories of his past, BOLDEN immerses you in a world fueled by passion, greed and genius in early 1900s New Orleans. Run Time: 1 hr. 48 mins. Runtime: 1 hr. 48 mins. Runtime: 1 hr. 50 mins. Runtime: 1 hr. 27 mins.